How would you recommend cleaning your brushes? 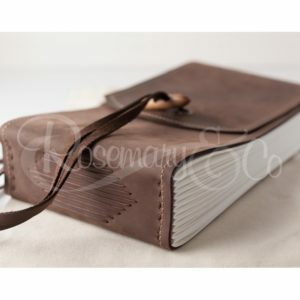 In short, there’s a million and one ways, so here are some tips as a basic rule, rest assured over time you’ll find your own neat way to do things. The main thing to remember is that cleaning your brushes is an important investment both of your time and your money. The more you look after your tools, the better they will serve you. Cleaning watercolour brushes is easy! Grab your brushes and head to the sink. You can hold them under the tap and let the pigment wash off them with the flow of the water. Get yourself a bar of soap and use the palm of your hand to gently wipe the brushes back and forth to ensure they are clean throughout. Squeeze the water out of the brush and reshape them. Store upright and condition them from time to time. Easy peasy. 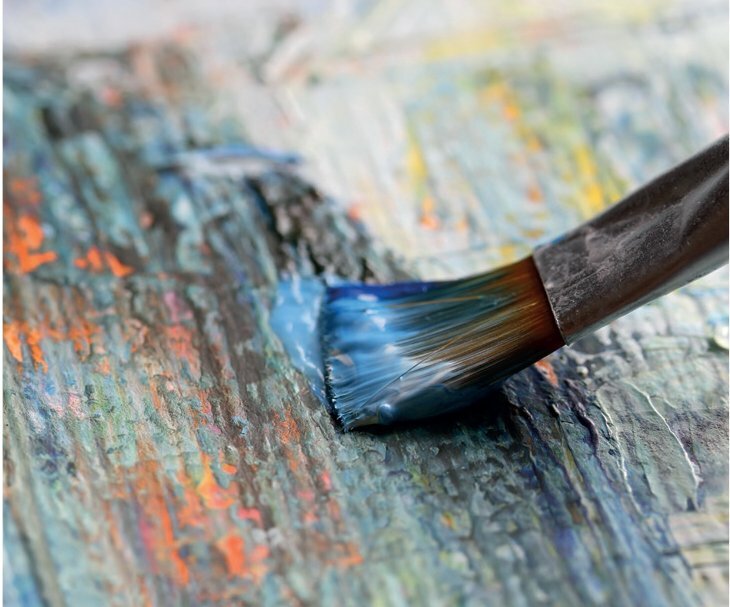 You must ensure to clean your Acrylic brushes in-between each use; not doing so will allow the Acrylic paint to harden the bristles or fibres and bond them together. We recommend Synthetic brushes over Natural Hair brushes as a general rule since they withstand the abuse of Acrylic paint and they clean more easily. You must not let the Acrylic paint dry on your brush as this is really difficult to get out. Grab a rag or kitchen towel and wipe away any excess paint from your brush to begin with; this will make the washing process faster and easier. Thoroughly rinse the brush with water and wipe the brush in your palm to get the paint out. You can use soap to speed this process and condition your brushes. Start with wiping your brushes on a rag or paper towel. You should then wash them thoroughly with either soap or mineral spirits. You can buy odourless mineral spirits nowadays too. To clean them thoroughly you can use a dish soap (in England we call it fairy liquid), or overseas you may have Murphys Oil Soap or Dawn. 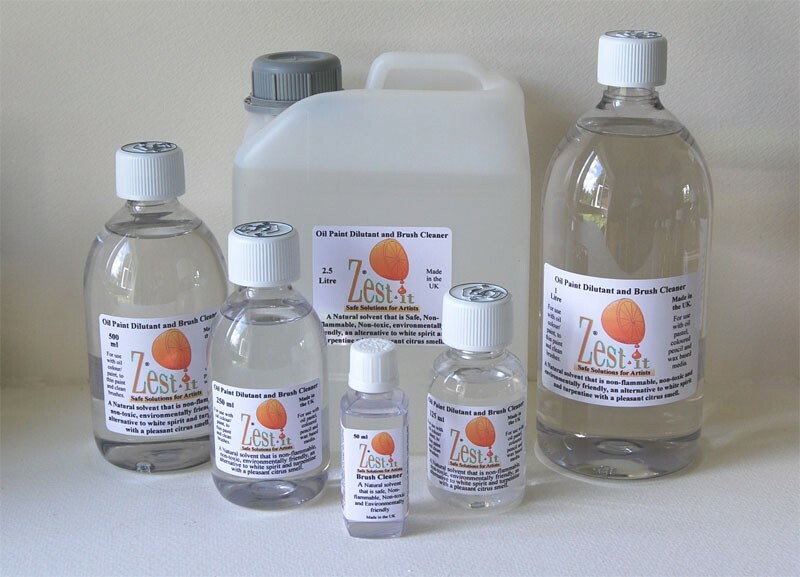 We also sell a product called Zest-It which are environmentally friendly, non-flammable, pleasant to use, biodegradable alternative to ‘turps’ and white spirit, made using the zest of citrus fruit for cleaning brushes and thinning paint, a much safer solvent for studio use. A good tip is not to load the brush right down to the ferrule. You must make sure you clean the whole brush; not doing so will cause it to splay outwards. 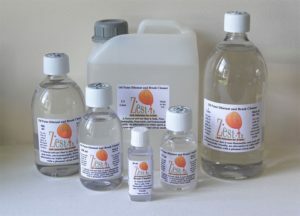 Oil cleans oil, so safflower & linseed oils works too. Be sure to reshape the brush once you’ve cleaned it through and a great tip by Richard Schmid is to fold card over your flats and filberts and clip a peg on them to hold them in shape. Truthfully there’s a million and one ways. Everyone has their own way of doing things but I’ve written more specifically about our Oil Brushes. No matter what works for you, ensure that you reshape your brushes to the way they first looked when you bought them, before you let them dry. If you have round brushes with caps on them, we recommend to throw those away. The protective cap we use is for transport purposes only and unless you have brilliant eyesight and a steady hand, you’ll bend back the hairs each and every time you try to get the cap back on. Always leave your brushes somewhere they can dry completely (do not store them in an air-tight container before they are dry). Invest in a wrap or brush case to carry your brushes. 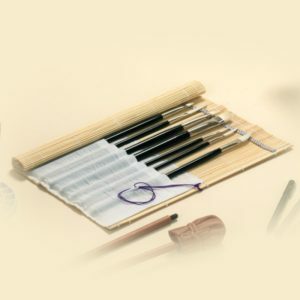 We sell Brush Holders for a few pounds to store your brushes upright in your studio. They are easy to assemble and inexpensive (Search BH50 on our website). 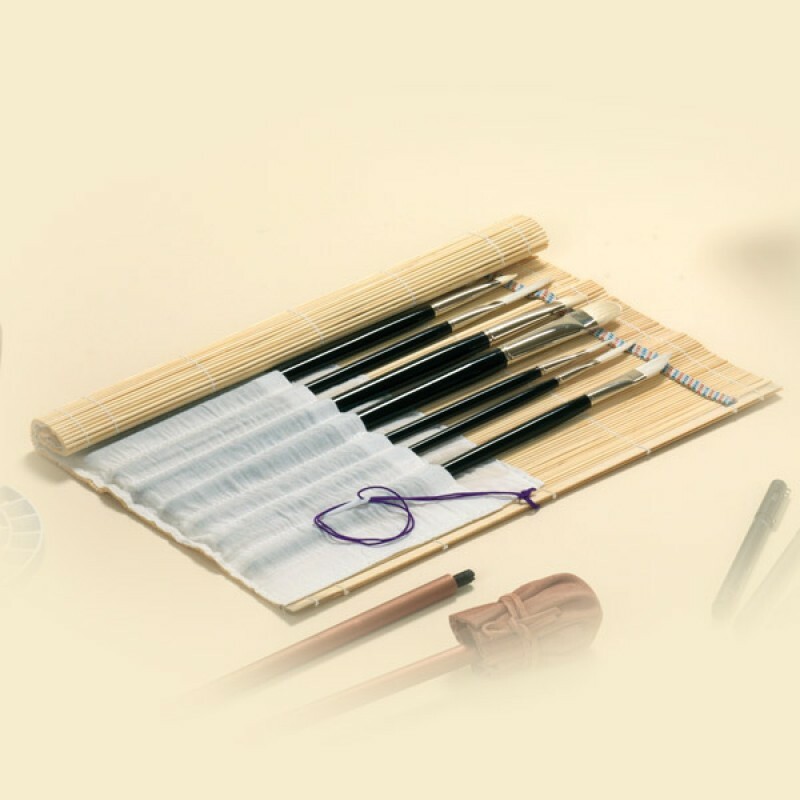 Alternatively, we sell beautiful bamboo brush rolls and handmade leather brush wraps (made inhouse) for carrying your brushes. 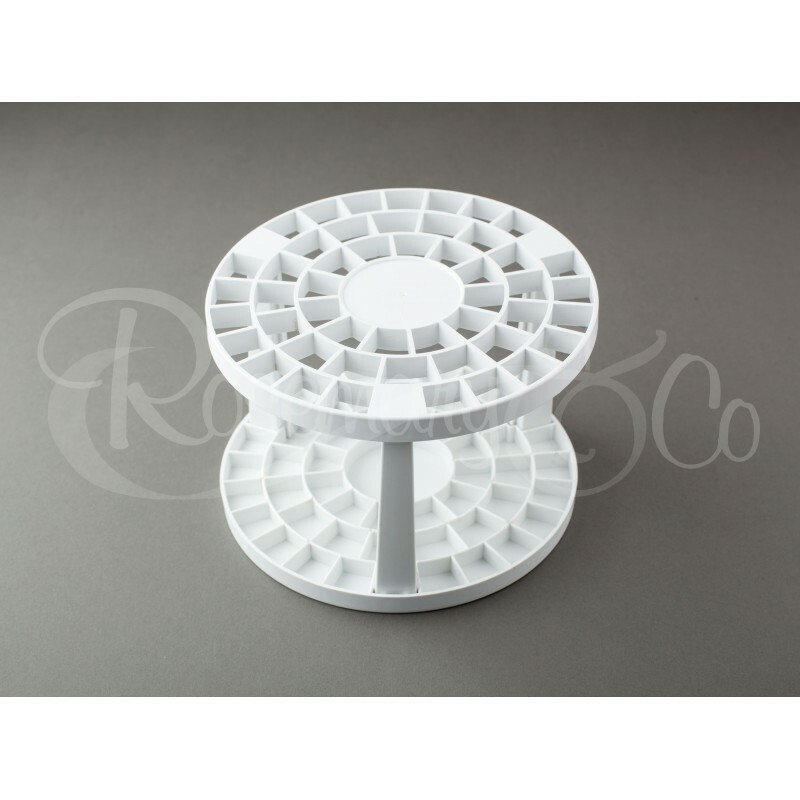 Both of these allow your brushes to dry naturally and ensure no mould. The colour of the hairs or fibres will change over time – this is normal and does not affect the performance of the brush. For any synthetic brushes loosing their shape you can hold them in boiling water for 30 seconds, this should help pull them back into shape. Natural hair brushes can enjoy a treat of conditioner from time to time, soak them and leave them for 30 minutes – when you come back to them and rinse it out they should feel nice and soft again. The best advice one can give is to ask! Ask your teacher and your art friends. If you find a way that works for you then stick with it. Just remember, your brushes are an investment and worth taking care of.